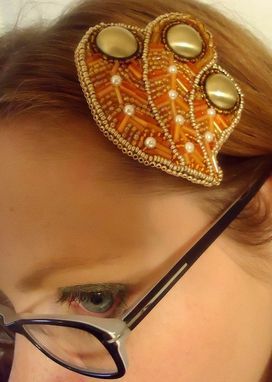 Get a 1920's look wearing this fun feather motif bead embroidery hairpiece or hair clip! 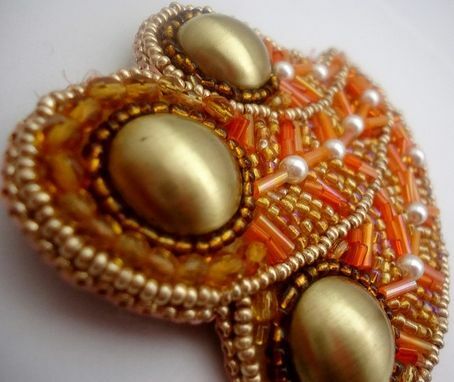 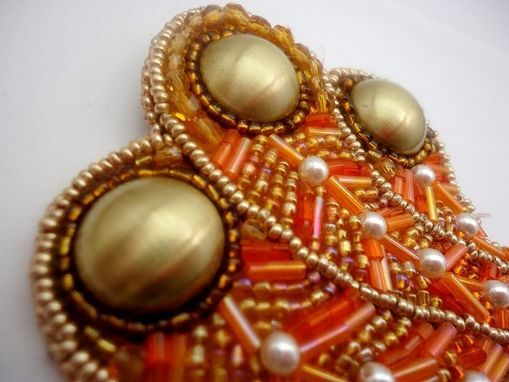 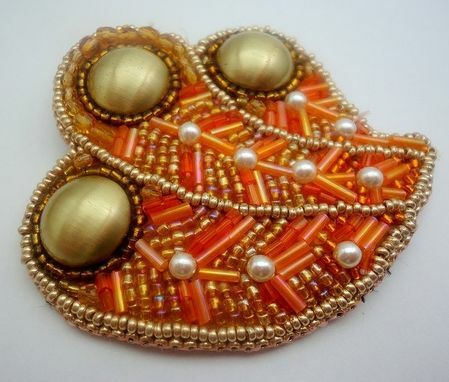 It is made with orange seed beads, gold vintage buttons, and faux pearls and is backed with a soft and comfortable dark brown Ultrasuede. 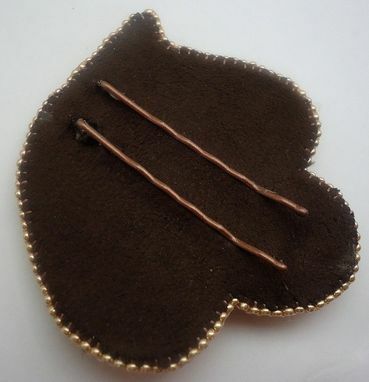 It attaches securely to the hair with 2 bobby pins and measures 2 3/4" in width x 3" in length.